Contrary to popular belief, certain back due taxes owing to the Internal Revenue Service (IRS) or the State can be wiped out in bankruptcy. In order to be eligible to wipe out a tax debt, there are five criteria that must be satisfied. The taxes must be strictly for taxes on income. Taxes such as payroll taxes, trust fund taxes, sales tax or fraud taxes cannot be eliminated in bankruptcy. There are other strategies to pay these type taxes over time, but you cannot discharge them; only income taxes can be discharged. The income reported must not be the subject of fraud or willful tax evasion. You cannot wipe out tax debt if you filed a false or fraudulent tax return or willfully attempted to evade paying taxes. For example, if you underreported income falsely, you cannot wipe out the debt after getting caught. The debt must be at least three years old from the date it is due. In order to wipe out the tax debt, the bankruptcy cannot be filed until three years after the original due date of the tax. For example, if a tax was due from a 2005 tax return, the due date of that tax liability would be April 15, 2006. In this example you would have to wait until April 15, 2009 to file the bankruptcy in order to be eligible to discharge the IRS tax debt. Many times, you must be careful to wait the appropriate time period in order to ensure that the tax debt will be wiped out. 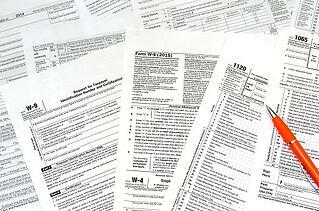 The best way to ensure that the timing is correct is to order a tax transcript from the IRS. You had to file a tax return for that particular year two years before the bankruptcy. To be eligible to wipe out the debt, you must have filed a tax return for the IRS or State debt you wish to discharge at least two years before filing for bankruptcy. Thus, even if the debt is over three years old, if you filed the return late and two years has not yet passed, then you cannot wipe out the Internal Revenue Service or State tax debt. You must satisfy the 240-day rule. The IRS must have assessed the income tax debt at least 240 days before you file your bankruptcy petition, or must not have been assessed yet. The IRS can extend this time period due to suspended collection activity because of an offer in compromise or a previous bankruptcy filing. A bankruptcy may relieve you of personal liability on a tax debt but in some circumstances will not discharge a properly filed tax lien. Stated otherwise, the IRS cannot chase you personally for the debt but the lien will remain on any assets so that you will not be able to sell these assets without satisfying the outstanding lien. Depending upon the lien and when filed, there may be other options to attack the validity of the lien. If the IRS has filed a secured lien, this may give you stronger strategies to pay it out over a longer time frame. In Chapter 11 cases, where the IRS has filed a secured claim against property there is good news and bad news. The bad news is the claim is secured and you may have to deal with it in order to save the property that the IRS has filed a lien against. The good news is that you can structure that secured claim over a long plan treating it like a mortgage. For example, paying the IRS secured claim over 20 years. Another issue that may affect that strategy is whether it is priority debt under the bankruptcy code. The same five rules that render an IRS debt dischargeable in a Chapter 7 bankruptcy make the IRS debt general unsecured debt in a Chapter 13 or Chapter 11 case. This means that the IRS debt will be treated in the same way as general unsecured creditors such as credit cards. Therefore, in a chapter 13 or Chapter 11 bankruptcy if the 5 conditions are satisfied, then the debt is treated as general unsecured and will be paid out and treated the same as other general unsecured creditors. Accordingly, if the plan proposes to pay unsecured creditors only 5% of the outstanding amounts, then the general unsecured claim of the IRS for income tax will only be paid 5%. Furthermore, the five rules for discharge of federal income taxes apply to state income taxes as well. You can also restructure the IRS or State tax debt over 60 months in a Chapter 13 bankruptcy. Furthermore, if you are fortunate enough, you may have an IRS or State tax debt that would not be dischargeable, but because the appropriate government entity does not properly file a proof of claim in your chapter 13 bankruptcy, it gets wiped out. If the tax obligation satisfies all of the five criteria discussed above, the tax can be wiped out in a Chapter 7, Chapter 11 or Chapter 13 bankruptcy. The failure, however, to satisfy any one of these criteria makes the taxes non-dischargeable in all chapters of bankruptcy. In many cases, the time requirements of the five rules can be satisfied by simply waiting to file the bankruptcy. On the other hand, not waiting long enough to file the bankruptcy may cause you not to satisfy one of the five rules and therefore render the tax debt non-dischargeable. It is critical to consider these five rules carefully and consult with an attorney in our bankruptcy law office to determine your options. If you are considerin filing bankruptcy for tax related debt burdens or any other type of debt, contact the New Jersey bankruptcy attorneys at Scura, Wigfield, Heyer, Stevens & Cammarota, LLP today for a FREE Consultation or give us a call at 973-870-0434.